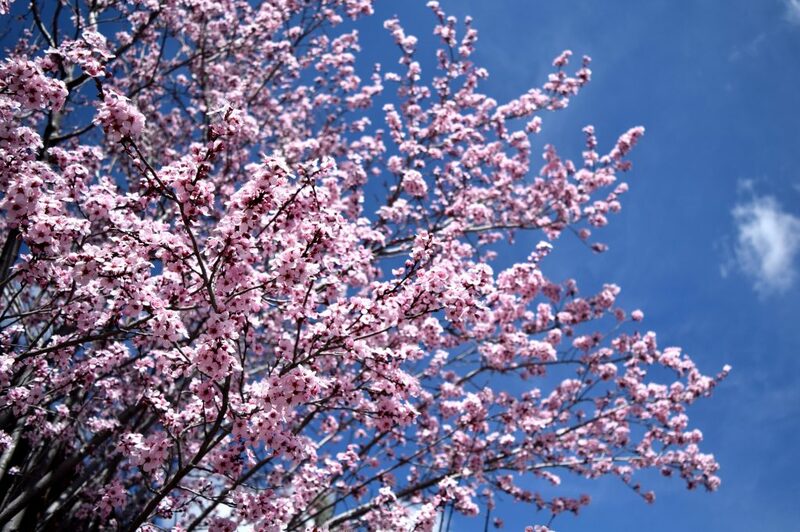 Why not visit Big Bear in the Spring time! The sun is shining and it’s a good time to get away from your busy life and relax in a Big Bear cabin rental. There are low crowds around Big Bear so you can comfortably visit tourist attractions without any lines or congestion. There are plenty of things to see and do around Big Bear creating memories and enjoying new challenges. Fulfilling your trip with fun and enjoyable activities on the lake including fishing, kayaking, parasailing, boating and many others. 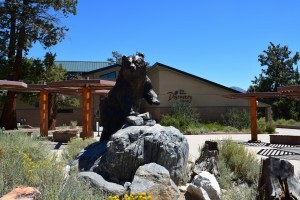 The Discovery Center is entertaining for the whole family learning about the history of Big Bear, wildlife and fun activities you can enjoy together. Why not visit Holcomb Valley where you can discover the history of Big Bear itself learning about the Gold rush and the famous ‘Hangman’s tree’. The farmers market has just begun, get your fresh fruit and vegetables at the convention center it begins every Tuesday at 8:30am so make sure to get there early! Big Bear Alpine Zoo is a great way to spend the day watching wildlife up close, learning about the history of different animals and species being saved since 1959. You will also be happy to know that the rates are a lot lower for vacation rentals in Big Bear! 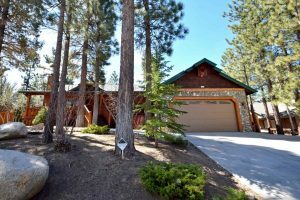 One of the many positives of visiting in Spring is saving money, you can stay in a beautiful spacious home overlooking Big Bear Lake at a discounted price. We offer discounts and promotions throughout Spring time so be sure to call our office to receive the best price you can! After months of cold weather in the mountains the hot weather is returning, the flowers are blooming and wildlife is recurring. You and all of the family can enjoy activities without getting too hot and still enjoy the sunshine. 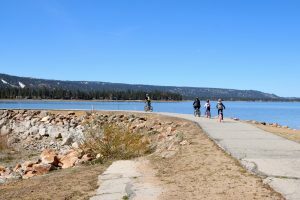 There are a lot of different hiking and biking trails throughout Big Bear ranging from easy to expert level. If you enjoy outdoor activities, Big Bear is the place to spend your vacation! The Village offers many different cuisines to dine in and relish the tasteful food that Big Bear offers. At 572 The Social you are able to eat in style in the outdoor patio with fires to keep you warm after dark appreciating the different types of food they offer. 572 The Social is located in the middle of the village within easy walking distance to the lake. If you are looking to get in the spirit of Big Bear there are many stores around the village selling all things ‘Big Bear’ ranging from t-shirts to mugs and jewelry. The perfect cabin for you! At Destination Big Bear we offer a large range of different cabin rentals in Big Bear all in the best locations. Some containing hot tubs with blissful views over the lake, pet friendly cabin rentals, kid friendly cabins, and always offering a comfortable stay for the whole family. We have cabins available close to the village, next to the lake and some in quieter areas of Big Bear. Get your Spring adventure started by booking a cabin rental in Big Bear Lake. Let our vacation experts know how you would like to spend your time. Call (909) 752-0234 and tell your friends and family to pack their bags, and their Spring clothes!